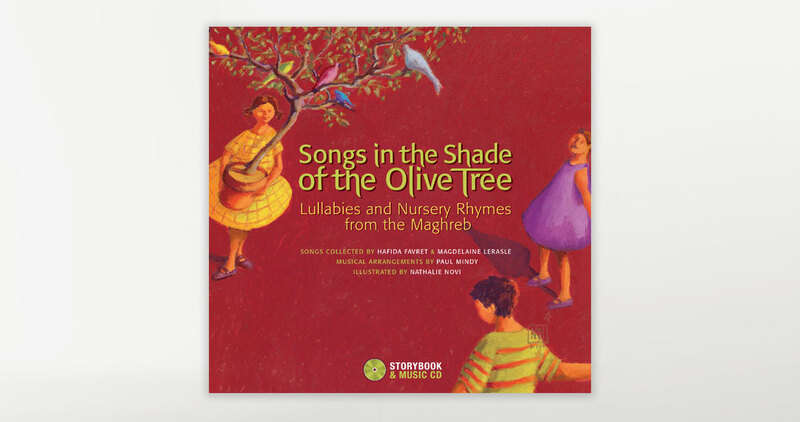 This storybook with CD offers a 30-song anthology performed in Arabic and Berber, and is a grand achievement in it’s eclectic selection of melodies. Discover a North African journey of traditional music from Morocco, Algeria and Tunisia. 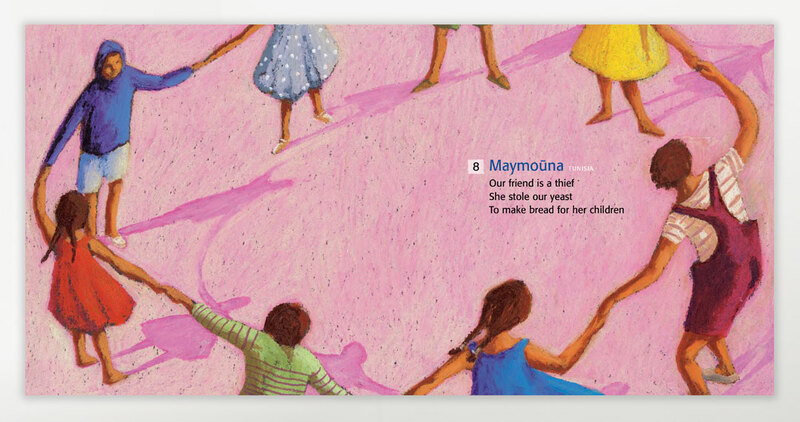 Each piece tells a tale of community while teaching children about values, nature and provision. The range of sounds cross the Sahara Desert and move through the Atlas Mountains, on to the Mediterranean Sea. The voices of women, men and children can be heard alongside the sounds of indigenous instruments. 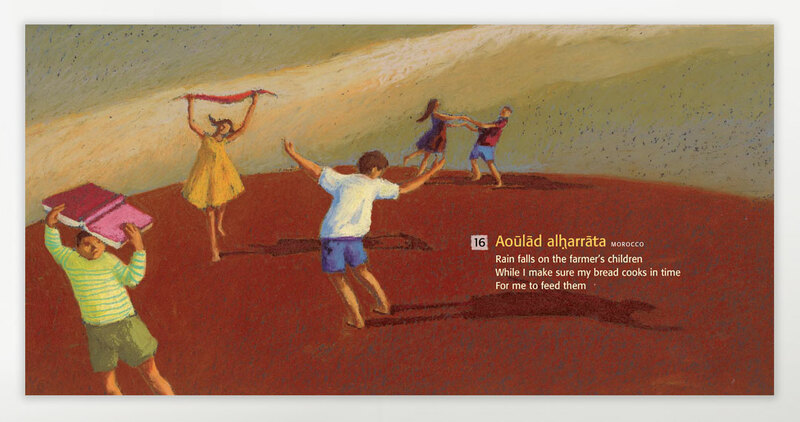 Original lyrics are printed in Arabic and translated into English, transcribed in the original Roman characters. Descriptions of each song’s origin and cultural context are included. Hafida Favret is an Algerian-born singer and attorney who practices international law in France Magdeleine Lerasle is an early childhood educator and researcher specializing in teaching language to children. Paul Mindy is an award-winning musician who received the Georges Brassens Prize honouring his work in Brazilian music. He is an arranger, composer, singer and percussionist. He has worked alongside other musicians such as Carlo Rizzo, Baden Powell and Richard Galliano. Nathalie Novi is an Algerian-born illustrator who graduated from Pierre Courtin’s copperplate engraving workshop, and also studied at l’École nationale des Beaux Arts de Paris. 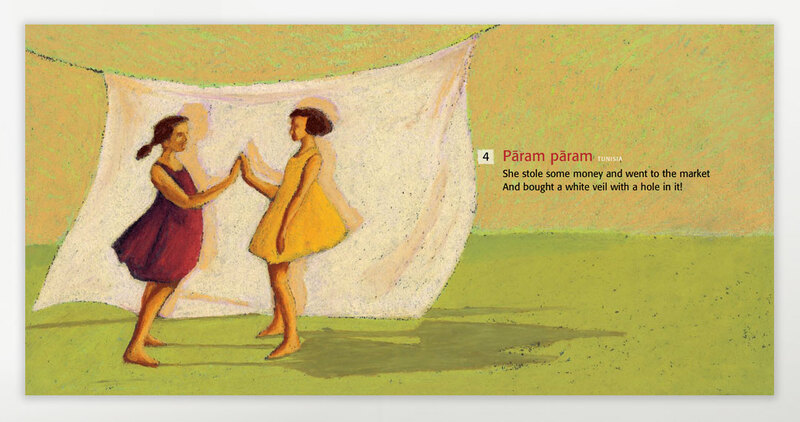 She has illustrated more than 60 children’s books. She received a «special mention» from the Bologna International Children’s Book Fair for the picture book Une cuisine tout en chocolat.